Fall in love with this beautiful knitted blanket from the first touch. Material contains bamboo, which makes it incredibly soft and thick. 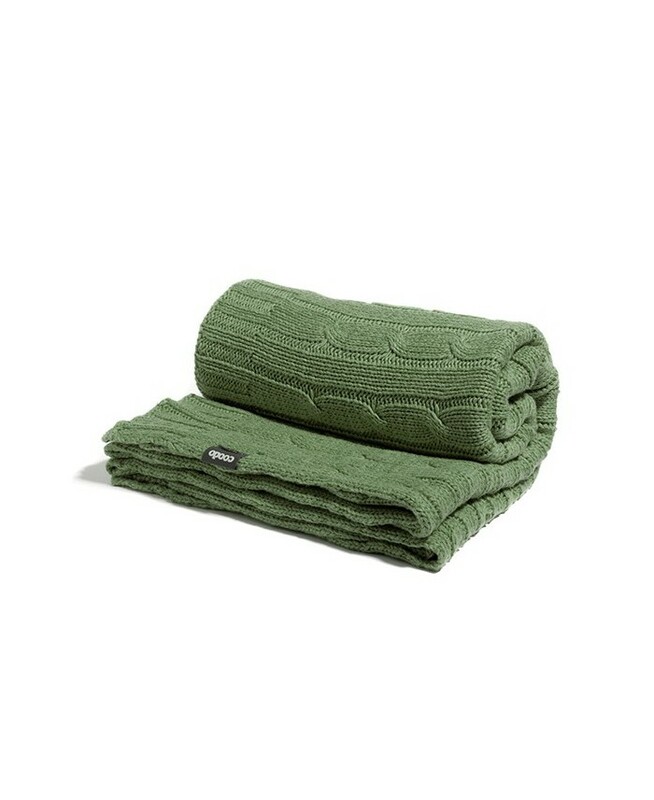 Unique khaki colour and a special knitted braid gives the blanket more character. It goes really well with all our clothes. It is perfect as the first blanket for a baby. Produkt niedostępny w wybranym rozmiarze i kolorze. Fall in love with this beautiful knitted blanket from the first touch. Material contains bamboo, which makes it incredibly soft and thick. Unique mustard colour and a special knitted braid gives the blanket more character. It goes really well with all our clothes. It is perfect as the first blanket for a baby. It is not only beautiful, but thanks to bamboo material it is made out of it has special properties. - THERMOREGULATORY - bamboo knitwear can absorb twice as much moisture as a normal cotton material. That’s why under our blanket your baby will feel nice and warm during the cold days and freshly cool during warmer periods. 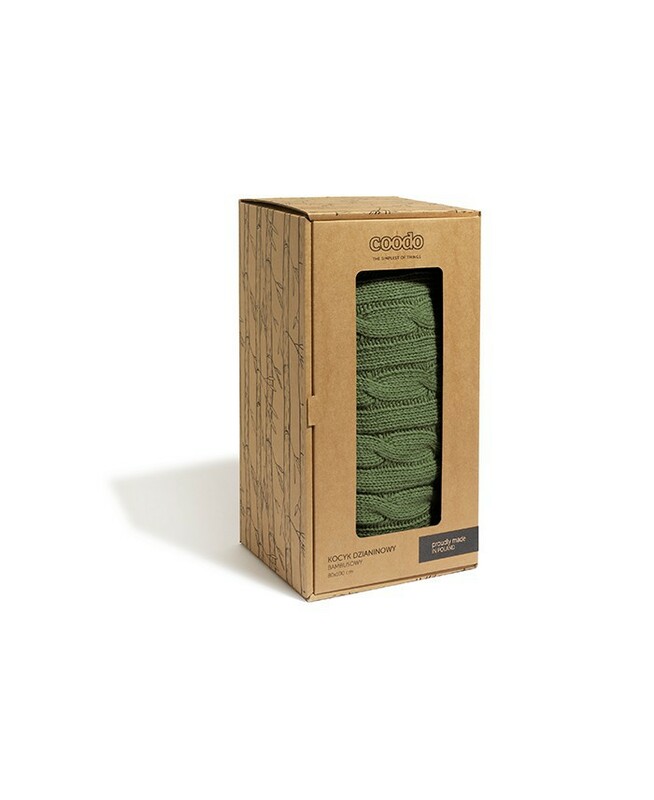 - ANISTHATIC - bamboo knitwear doesn’t collect dust nor mites. Therefore, it is especially suitable for those with asthma and other breathing problems. - HIPERALLERGIC - bamboo materials are recommended to those with allergies and with sensitive skin as it contains calming and healing properties. - BACTERIOCIDAL AND ANTI-FUNGAL - it kills 70% microorganisms in a natural, non harming to the baby, way. This way all bad smells are eliminated. - ECOLOGICAL - thanks to Bamboo Kun - a special substance, which is a natural ingredient of bamboo trees, the materials kill bacteria and infections without any help from pesticides and chemicals. - BIODEGRADABLE - Bamboo is one of the most environmentally friendly materials as it disintegrates naturally. Fall in love with this beautiful knitted blanket from the first touch. Material contains bamboo, which makes it incredibly soft and thick. 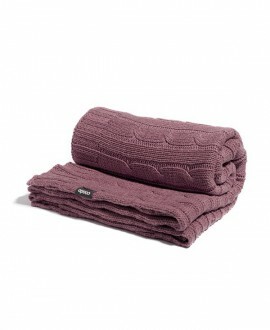 Unique heather colour and a special knitted braid gives the blanket more character. It goes really well with all our clothes. It is perfect as the first blanket for a baby. A small diaper, which will always be with your baby when it’s needed. It can be used as a bib, to clean your little one’s hands and mouth, for hugging and snuggling, or for washing. The set contains 3 diapers with 2 different colours and designs - they go perfectly with other colours from our collections. In Poland we use the word COODO to describe tiny miracles that happen every day. Our mission is to encourage adults to let themselves be entranced by the small-great things that happen all around us, all the time - just like children are entranced by them all. HOW TO CARE ABOUT PRODUCTS?